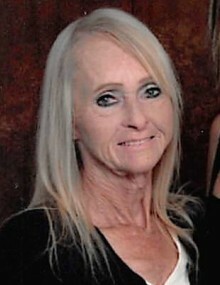 Sophia Knotts, 71, of New Market, AL passed away Thursday, April 11, 2019 at her home. She is preceded in death by her mother and father Movie and Pearlie Mae Oliver, husband Thomas Knotts, sister Bethal Wilbourn, brothers; Clifton Oliver, Joe Oliver, and Johnny Oliver. She is survived by her daughter Amber Knotts (Joel English), son Scottie Remler (Angie Remler), granddaughters; Kendall Hopkins, Courtney Pickett, and Lareina Remler, grandson Jaxson English, great grandson Zachary Mathers, sisters; Emmaleen Pickett, Faye Conner, Francis Young, and Joyce Bates, brother AC Oliver, and a host of loving family and friends. Visitation will be held at Spry Funeral Home of Huntsville on Monday, April 15, 2019 from 6:00pm until 8:00pm. Services will be held in the Spry Funeral Home Chapel on Tuesday, April 16, 2019 at 2:00pm with James Damron officiating.